*”At the October 4 , 2007, House Committee on Energy and Commerce, Subcommittee on Oversight and Investigations hearing entitled ‘Germs, Viruses, and Secrets: The Silent Proliferation of Bio-Laboratories in the United States.’ the Department of Health and Human Services (HHS) announced the formation of the Trans-Federal Task Force on Optimizing Biosafety Oversight 9the ‘Task Force’).” p. 4. *”The purpose of the Task Force is to propose options and recommendations to improve bioafety and biocontainment oversight of research activities at high and maximum containment research laboratories in the United States through a comprehensive review of mechanisms by which individual research 9local0 institutions and the Federal Government can ensure safe working conditions.” p. 156. *”The Task Force envisions effective, comprehensive, local (institutional) and Federal oversight that protects laboratory workers, public health agriculture, and the environment, without hindering the progress of science.” p. 156. *”there are four areas of concern, which include lapses in biosafety, lack of timely reporting of incidents, and lack of Federal oversight for research involving pathogens that are neither select agents nor recombinant DNA agents.” p. 4. *”The issues of biosafety and personnel reliability, although related to laboratory biosafety and biocontainment, are not the focus of this report but are being addressed by a Federal Working Group established by Executive Order 13486, ”Strengthening Laboratory Biosecurity in the United States”.” p. 5. 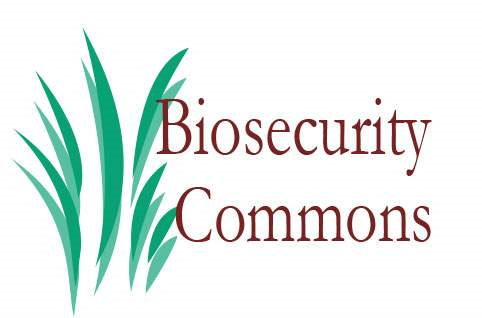 <div class=”boilerplate” id=”controversial” style=”background-color: #dddddd; width: 100%; margin: 0 auto; padding: 7px; text-align: left;”>*”Recommendations 1.1: Identify or establish a Federal entity to coordinate biosafety and biocontainemtn activities, and to ensure comprehensive and effective Federal oversight for all high and maximum containment research facilities and activities in all sectors. …” p. 10. *”… 2.2: Support the development of an accreditation system for biosafety/biocontainment management programs at high and maximum containment research institutions.” p. 10. *N.B. “The term ‘high and maximum containment’ is used in this report to describe biosafety level 3 (BSL-3) and BSL-4 laboratories and equivalent containment facilities…” p. 4. *”5.1: Develop comprehensive biocontainment guidelines comparable to those of the BMBL to cover research, including high and maximum containment research, on plant, livestock, and other agriculturally significant pests and pathogens.” p. 11. *”6.1: Require … proper installation of and preventive and ongoing maintenance programs for biosafety and biocontainment infrastructure and equipment.” p. 12. *”7.1: Develop and maintain a robust program of applied biosafety and biocontainemnt research to create additional and update exisiting evidence-based practices and technologies.” p. 12. ”’Wilson, Duff”’, “Research Uproar at a Cancer Clinic: Errors at Illinois Center May Signal Failings at Similar Hospitals,” B1 & B7, NYT, Oct. 23, 2009. ”’Moss, Michael”’, “Companies Strike Deal on testing for E. COli,” NYT, A23, Oct. 8, 2009. ”’Harris, Gardiner”’, “E. Coli Kills 2 And Sickens Many Others; Focus on Beef,” NYT, A12, Nov. 3, 2009. ”’Moss, Michael”’, “E. Coli Outbreak Traced to Company That Halted Testing of Ground beef,” NYT, A14, Nov. 13, 2009. ”’Gregg, Kelsey”’, “Unauthorized Brucellosis Experiments, University of Wisconsin-Madison,” Posted May 21, 2010, Federation of American Scientists, Biosecurity Blog, [http://www.fas.org/blog/bio/2010/05/unauthorized-brucellosis-experiments-university-of-wisconsin-madison/]. Last checked 10/30/11. ”’Carey, Benedict”’, “Studies Halted at Brain Lab Over Impure Injections,” NYT, July 16, 2010, [http://www.nytimes.com/2010/07/17/health/17columbia.html?_r=1&hp] Checked July 17, 2010. ”’Bita, Natasha”’, “Checks by the TGA reveal 98 per cent of drug labs have problems,” The Australian,[http://www.theaustralian.com.au/news/nation/checks-by-the-tga-reveal-98-per-cent-of-drug-labs-have-problems/story-e6frg6nf-1225893662606] July 19, 2010. ”’Jordan, Bryant”’, “Airmen Given Expired Anthrax Vaccines,” Military.com, NEWS, [http://www.military.com/news/article/airmen-given-expired-anthrax-vaccines.html], October 28, 2010, Last Checked November 3, 2010.